Today, Flipkart is offering a 75 percent discount on audio devices such as headphones and speakers. 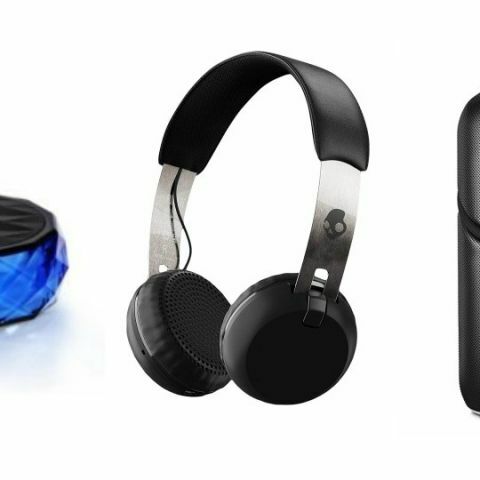 The products we’ve listed down are from brands like JBL, Philips Skullcandy and more. If you’re looking for a headphone or a speaker then we have found some great deals on Flipkart. We have covered products such as speakers and headphones that are from brands like Skullcandy, JBL, F&D and more. The Skullcandy Uproar is a wireless Bluetooth on-ear headphone, which comes with a swivel ear-cup design that enables easy storage. It has an in-built microphone that lets you manage calls easily. As per the company, it can provide up to ten hours of music playback on a single charge. Click here to buy. The JBL E45BT is a wireless Bluetooth headset, which is compatible with laptops, smartphones, tablets and more. It has an in-line microphone and remote that lets you pick up calls without taking out the phone from your pocket. The control buttons are placed on the ear cup to adjust volume, and manage audio tracks. Click here to buy. The SoundLogic BTHP002S-BK is a Bluetooth enabled wireless over-the -ear headphone. The box includes a microUSB cable for charging and an AUX cable for wired listening in case of you run out of battery. Click here to buy. The Skullcandy Grind wireless Bluetooth headphone comes with an in-line microphone and volume/call control buttons that lets you manage your calls and tracks easily. It has a wireless range of 33 feet and as per the company can provide 12 hours of continuous music streaming. Click here to buy. This Bluetooth speaker is an exclusive product of Flipkart. The speaker is compatible with multiple devices such as laptops, smartphones, tablets and more. The device is backed by a 1200mAh battery which, as per the company, can give up to five hours of music playback. Click here to buy. The Philips IN-BT112/94 is a compact device that lets you stream music via Bluetooth. The users also have an option to play audio tracks via an AUX and microUSB cable. It has a built-in microphone as well, which allows you to take calls even when the phone is connected to the speaker. Click here to buy. The Creative Chrono is a splash proof Bluetooth speaker, which comes with a FM radio clock. The speaker is backed by 2200mAh battery which, as per the company, provides eight hours of music playback. It has an LED display and an AUX cable as well for streaming music. Click here to buy.